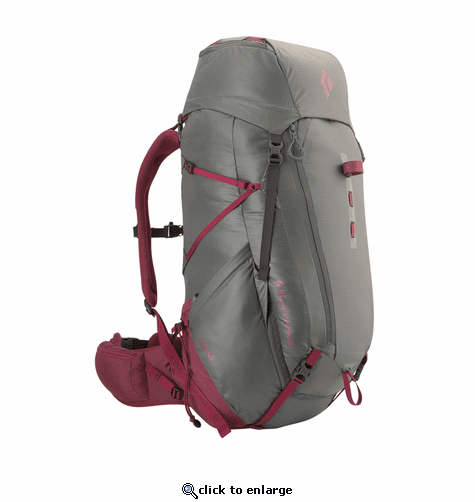 Light, streamlined and built with the lightweight multi-day backpacker in mind, the Black Diamond Women's Elixir pack features our super-comfortable reACTIV suspension system with SwingArm™ shoulder straps for a comfortable carry from the High Sierra to the Canadian Rockies. The Element features both top-loading access as well as a large zippered sleeping bag opening, and the high-flow OpenAir backpanel keeps ventilation high on warm days. The floating top lid converts to a lumbar pack for quick side hikes, and the large zippered front pocket, quick-cinch side pockets and hipbelt pockets stash maps, energy bars and all your other trail essentials.